STARTS SOON. 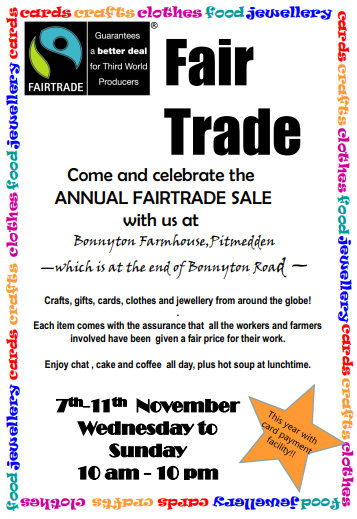 The annual Fairtrade Sale at Bonnyton, Pitmedden. A huge selection of ethical gifts and essentials. Delicious foods and ingredients for every occasion, cards, crafts, gifts and clothing. A wonderful shopping experience. We have received the below from the Scottish Fair Trade Foundation – can you help? We are excited to announce that we are launching a new programme, as part of the Year of Young People 2018, to encourage youth-led Fair Trade campaigns in Scotland. Participation is open to young people aged between 16 and 25 years old. Members will be required to attend meetings and create/assist with the running of campaigns. To help with this the Forum will provide free tea and coffee as well as covering travel and lunch expences. Full details of the Network’s roles are available in the Guidelines. 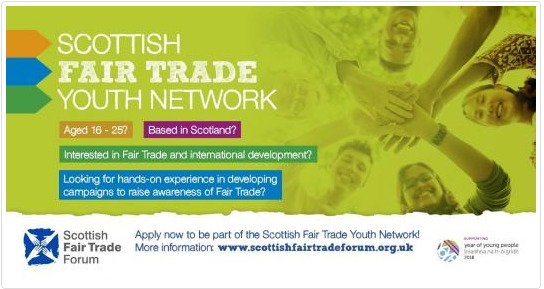 The programme aims to give young people opportunities to get involved in the Forum’s activities and connect to the wider Fair Trade network in Scotland. The Network provides a fantastic opportunity for young people to build and develop useful skills that will aid them in later life. We are looking for volunteers that are creative and sociable people to work together in designing and producing ways of championing Fair Trade across the country as part of the global movement. 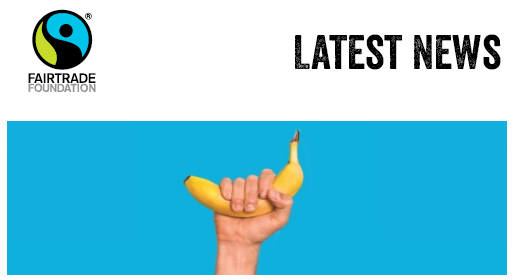 One question that regularly pops up in the Fairtrade inbox is ‘are there any products that are both Fairtrade and vegan?’ Well, wonder no more! The answer is yes – and it’s more than just bananas! This week on the blog we asked our colleague Amy, who works in our business team (and who also happens to be vegan), to pick out her top nine cruelty free and Fairtrade products. Amy says ‘I was pleased to find just how many vegan Fairtrade products there are available. 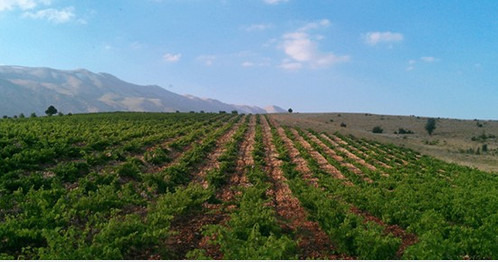 And on this search, it was interesting to find that many things I thought were vegan, may, in fact not be (wine, I’m looking at you).’ Find out what else she chose just click below. Has Amy missed off one of your vegan and Fairtrade favourites? Hit reply and let us know. It’s almost time to ‘Come on in’ to Fairtrade… it’s less than a week until Fairtrade Fortnight 2018, our biggest campaign of the year. Around the world, millions of poor farmers and workers are fighting for a fair deal. Supported by Fairtrade, they’re closing the door on exploitation, earning their way out of poverty and transforming their communities. And it’s all down to supporters like you choosing Fairtrade products every time you shop. As a thank you we thought you’d like to be the first to hear about some of the special offers happening over the two weeks. What better time to treat yourself or try something new? Waitrose have a range of offers on Fairtrade products in-store and online. And look out for a range of in-store tasting events across the country. Find a whopping 20% off Fairtrade brands like Divine Chocolate, Tropical Wholefoods and Zaytoun in-store and online. M&S are offering Buy 1 Get 1 Half Price on selected Fairtrade tea & coffee in-store.